I saw three diverse, interesting and extraordinary films today. The first movie I saw was this cute little charmer from Denmark. 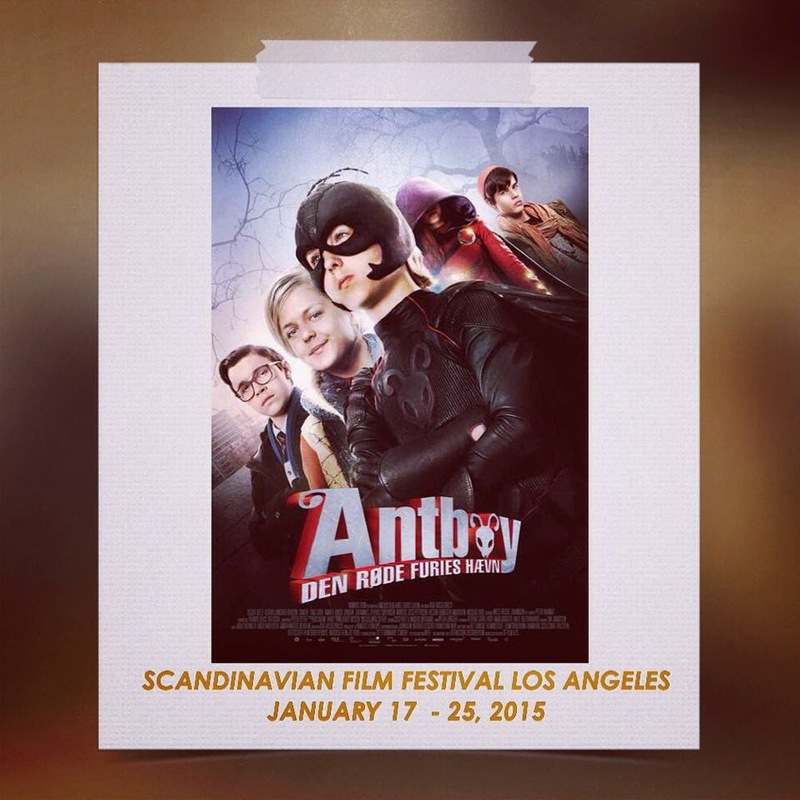 "Antboy: The Revenge of Red Fury" is a sequel to the hugely popular "Antboy", which also screened during last year's edition of SFFLA. This fun adventure flick is what a superhero tale about kids trying to save the world should be, the film treatment is juvenile -- as it should be -- but not dumb. I saw kids at the screening and I can tell they were big fans of the movie because some of them were wearing Antboy shirts and they even sat very close to the screen! My 2nd film today was this solemn autobiographical film by Nils Malmros from Denmark. 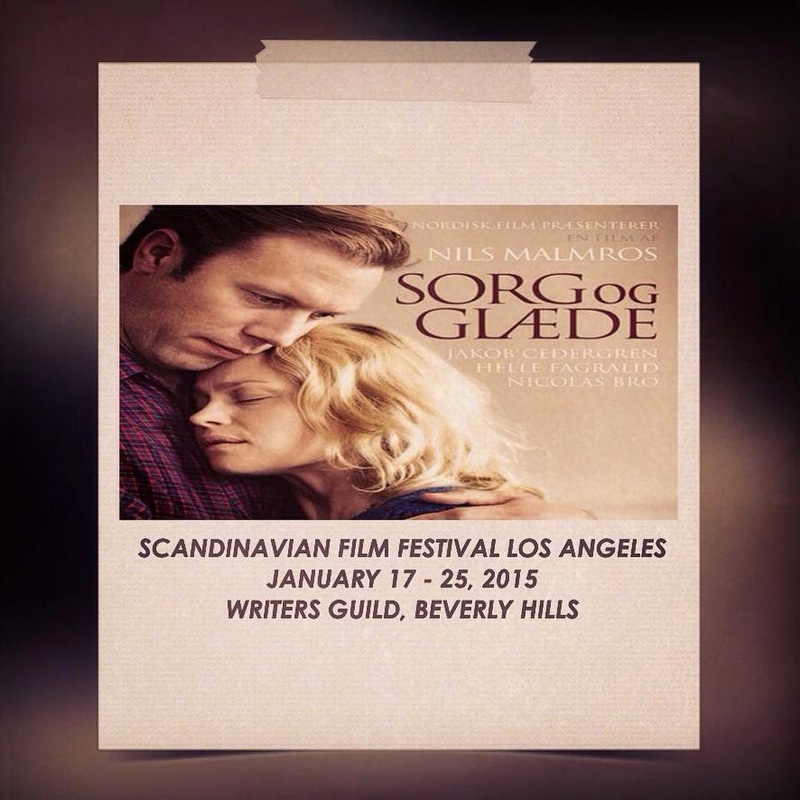 "Sorrow & Joy" is the official Oscar submission by Denmark and is inspired by a tragic incident in the filmmaker's life. It highlights the frightening dangers untreated mental conditions can bring to a family. The story opens with the noted terrible tragedy and, true to its title, it delves into the ensuing sorrow that the incident brought the couple. It closes, however, with a somewhat reassuring present day end for them -- not completely blissful but not unhappy either. The depressing theme of story may be tough for some to sit through but it offers the audience the opportunity to discover that there was this couple in Denmark who went through this incredible loss and survived it, not unscathed but as better, stronger human beings. And, through their story, we may perhaps have their strength to also face all our problems with such courage, grace and mutual love. My 3rd film today was this wonderfully titled new film from Swedish master Roy Andersson. 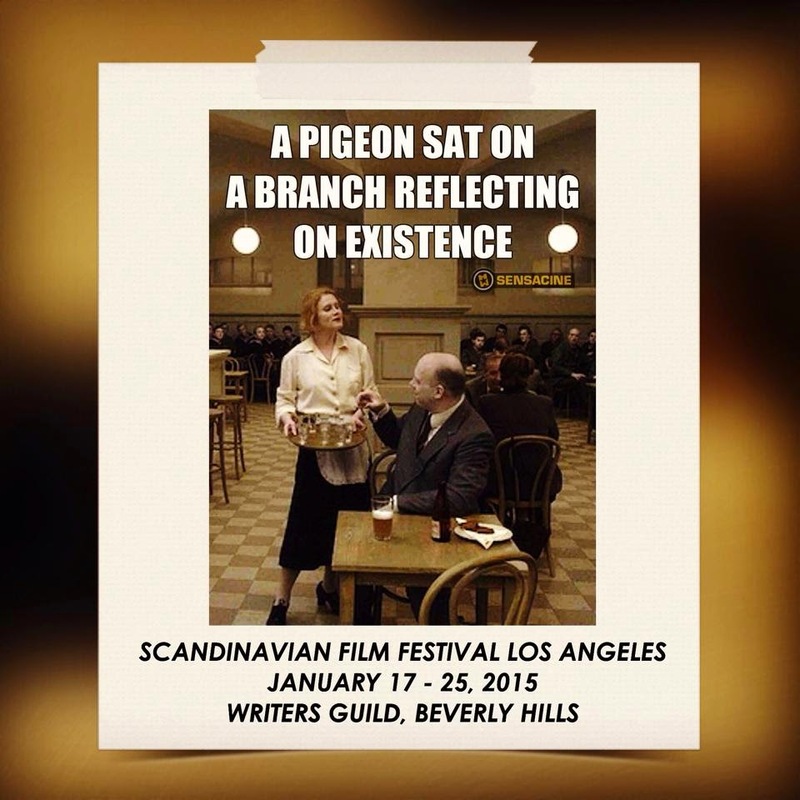 A PIGEON SAT ON A BRANCH REFLECTING ON EXISTENCE is the third film in the trilogy called LIVING and is a collection of vignettes about death, dying and the horrible existence of being alive but practically dead. The movie is oftentimes humorous but does not lack for many thought-provoking and philosophical observation about the subject matter. The filmmaking is excellent! Even if one is not familiar with Andersson's cinema, one can easily tell, by the film's opening sequence, that the filmmaker commands great mastery of the medium and his palpable confidence easily gets the attention and completely wins over the audience. Even if his film does not offer a core story or a linear narrative, Andersson's grasp of his subject matter and his singular vision in presenting this via a series of interrelated sequences somewhat allows the audience to make sense of everything and that is something that an ordinary filmmaker would have difficulty to achieve. This film won Best Film at the Venice Film Festival, where it beat the Oscar-nominated film BIRDMAN. The festival continues on January 18, Sunday; January 24, Saturday and January 25, Sunday. See you there!